The Tiger Woods case may be the most prominently reported recently, but it's far from the only one involving drivers being arrested or ticketed for driving while under the influence of prescription drugs. 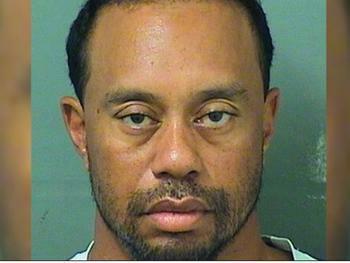 Woods, who had back surgery last month, was arrested early Monday near his Florida home. Police said they found him sleeping in his car with the engine running. He tested negative for alcohol but was ticketed because of his slurred speech and for failing roadside sobriety tests. “I take full responsibility for my actions. I want the public to know that alcohol was not involved. What happened was an unexpected reaction to prescribed medications,” Woods said in a statement. The incident highlights the role of prescription drugs in traffic accidents. The National Highway Traffic Safety Administration (NHTSA) reports that in 2015, 21% of the 31,166 fatal car accidents in the U.S. involved a driver who tested positive for drugs. The increase in traffic incidents involving drugged drivers coincides with the rising tide of drug overdose deaths, which was 2.5 times higher in 2015 than in 1999, according to the Centers for Disease Control and Prevention. The overdose deaths are blamed on lower prices of heroin and easier access to prescription drugs. The biggest spike in fatal drug overdoses took place among Generation X and Baby Boomers, the CDC concluded.